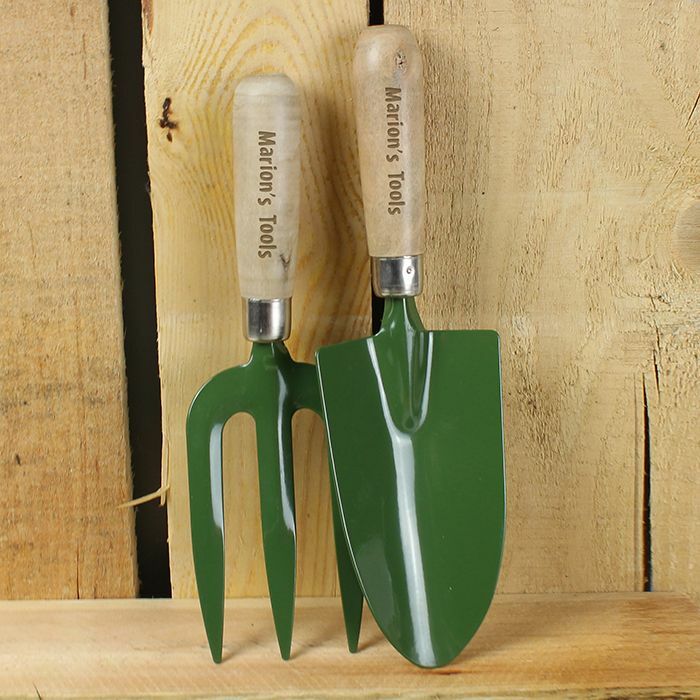 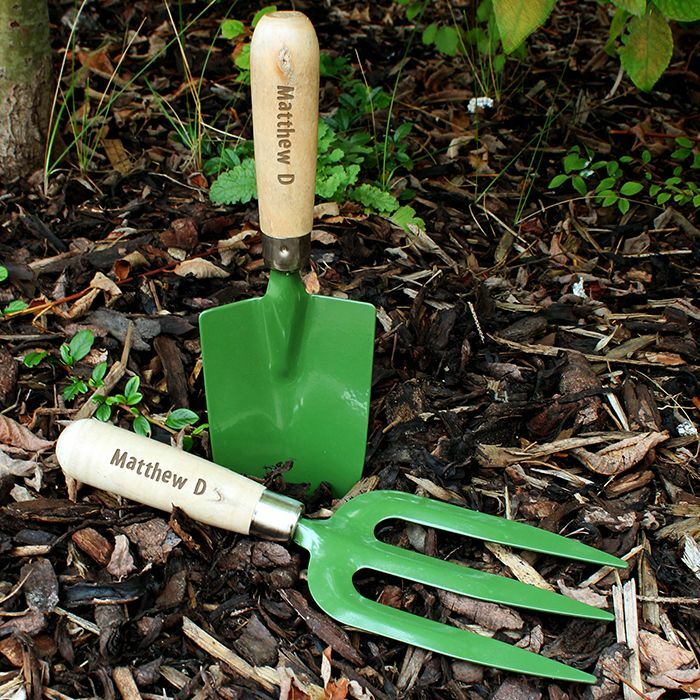 Personalise this Fork & Trowel Set for any keen Gardener. 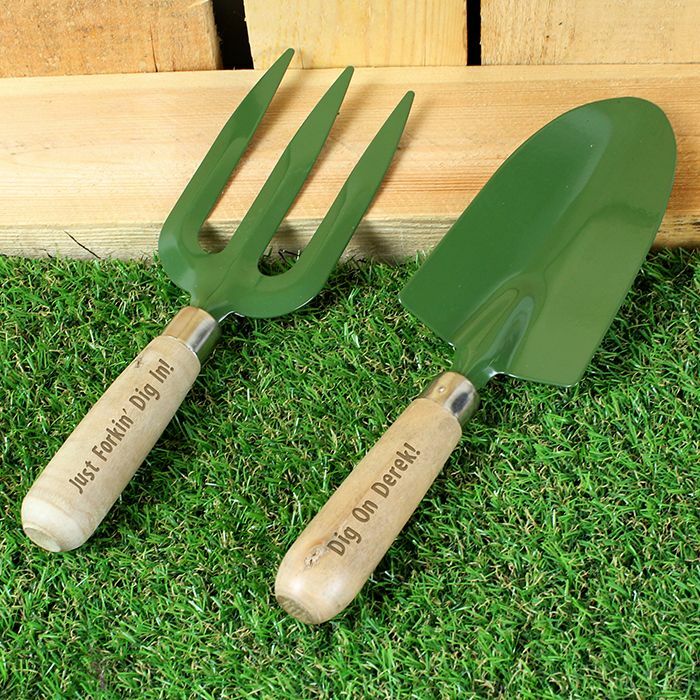 Personalise this Fork & Trowel Set with a name or message up to 20 characters on each tool. Perfect accessories for any keen gardener. 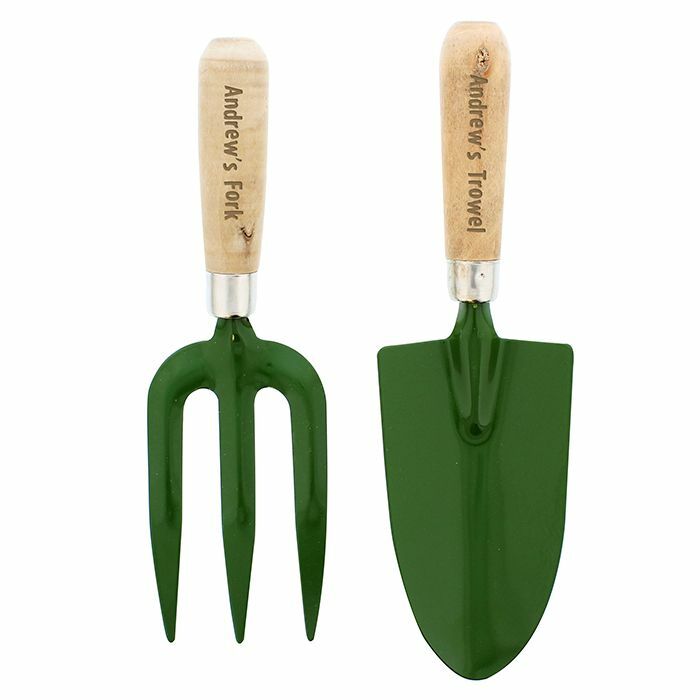 The fork and trowel ends are made from tough quality carbon steel with an attractive mottled effect. 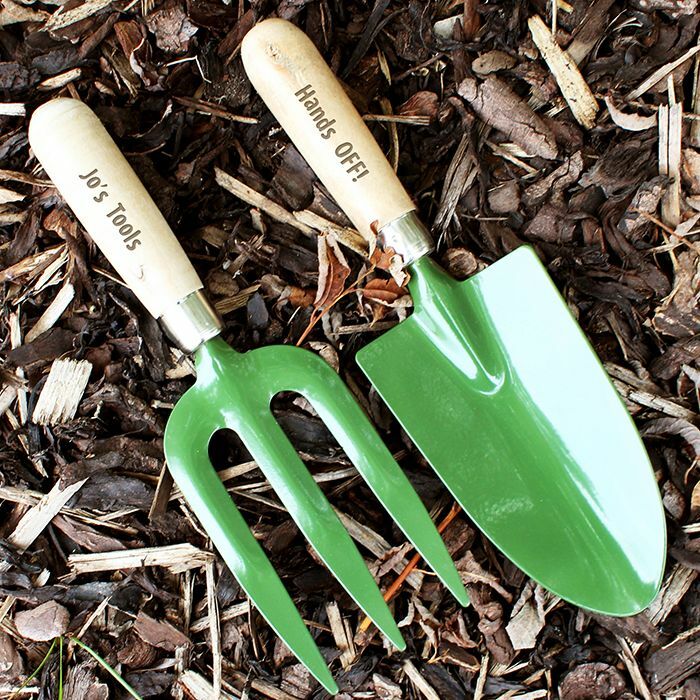 The handles are made from wood and each have a piece of natural, rustic string which enables this item to be hung up.